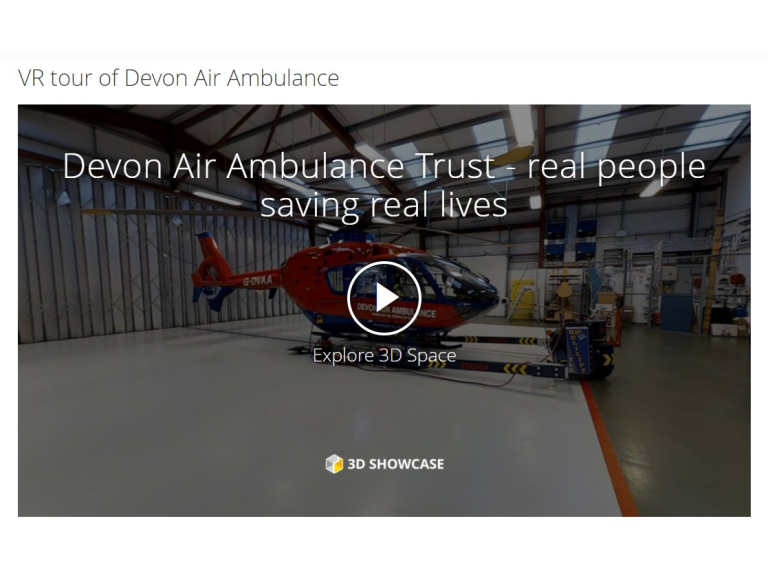 A businessman who specialises in virtual reality (VR) walk-throughs for property sales has used his state-of the-art technology to create a virtual tour of Devon Air Ambulance’s (DAA) emergency helicopter and hangar at the charity’s Eaglescott air base. Noel Sexton who runs based Somerset based View It 360 providing VR Solutions for businesses from London to Truro, has donated the VR tour to thank DAA for the role in getting his new born son Callum to hospital after he suffered severe breathing difficulties and was turning blue. Although the incident happened 11 years ago, it was when Noel set up his VR business last year that he realised he could do something unique for the charity. He said: “A few years after the incident my mother heard about the airbase visits for former patients and contacted Head Office to arrange a visit for us all. Afterwards my parents signed up to become volunteers with the charity and they now service the DAA collection boxes in the East Devon areas and also help man DAA stalls at various events. Using the latest technology, View it 360’s immersive and photo-realistic tours provide an easy to navigate walk through with the ability to zoom in and out and rotate the image. 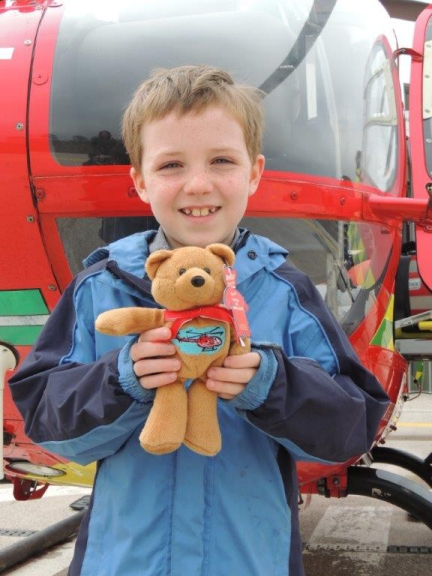 The tour can be viewed on mobile, tablet and desktop devices by visiting www.daat.org/vr-tour-of-devon-air-ambulance and can also be viewed here through VR headsets.